The theme for The Norse Mythology Blog's third art contest is midsummer. During the summer solstice on June 21, those of us living in the northern hemisphere will experience the longest day and shortest night of the year. This may seem pretty early in the season, but it’s really the middle. From this point onwards, the days will start getting shorter as we slowly move back towards winter. 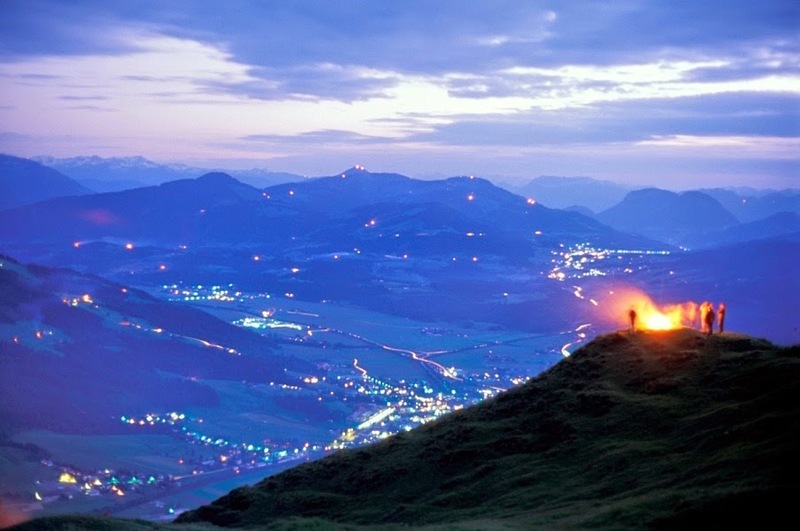 Throughout Northern Europe, there are local traditions that celebrate midsummer. Some of these practices preserve very old rituals. 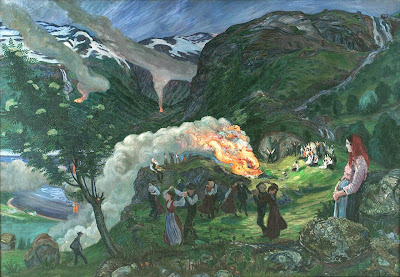 Your goal with your original piece of visual art is to capture the spirit of both midsummer and Norse mythology. Will you draw elves feasting in the forest under the summer sun? Thor lighting the Midsummer bonfire with lightning? Freya taking her cats to the beach for a picnic? It’s up to you! I strongly suggest doing some reading and research on midsummer celebrations in Northern Europe before you start working on your artwork. What traditions can you discover? Can you think of a way to tie these traditions to the Norse myths? 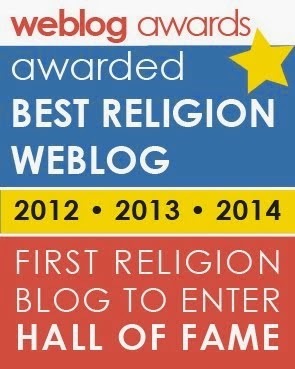 If you need some ideas about Norse mythology, browse The Norse Mythology Blog Archive. You can also check out the winners of the Midsummer 2013 Art Contest in the three categories: kid, teen and adult. Most importantly – be creative! I am very proud to announce the judges for the art contest. Both of these wonderful people create thoroughly modern works of literature and music that show great respect for and understanding of the complicated issues in the original Norse myths. In my classes on Norse mythology and religion, I use works by both of these creative artists to show how those who have a deep engagement with the myths can bring out subtleties from the source material in their new interpretations. The three of us will judge the entries together. The English author studied Modern and Medieval Languages at St Catharine’s College, Cambridge, before spending fifteen years teaching language and literature. Her debut as a novelist was The Evil Seed (1989), but it was her third novel that propelled her to international stardom; Chocolat earned the number one spot on the Sunday Times bestseller list, and the film adaption (with Johnny Depp and Juliette Binoche) was a commercial and critical success. Since that first breakthrough, Harris has written a series of bestselling novels including Holy Fools and The Lollipop Shoes. 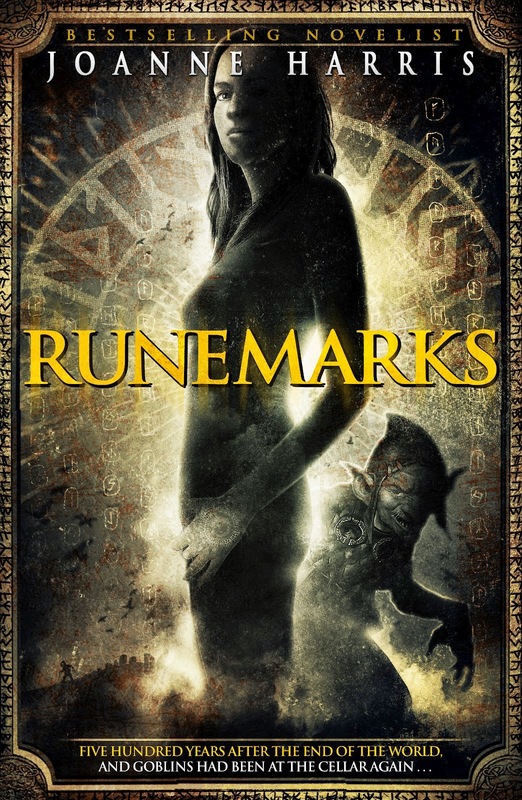 In Runemarks (2007), Harris imagines the aftermath of Ragnarök, “five hundred years after the End of the World.” It’s a world quite different from the one suggested in the Eddas, but it has deep roots in Norse mythology. The old gods have fallen and a new religion has risen. 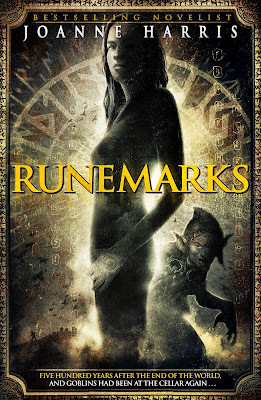 A young girl named Maddy is born with a “runemark” – a rune on her skin that marks her as a relation of the Norse gods and invests her with mystic power. Over the course of the novel, she befriends Odin (as much as one can be a friend with the Furious One), travels with Loki, and becomes embroiled in a struggle involving the resurgent Æsir and Vanir and the minions of the new religion known as the Order. Harris followed up with Runelight (2011), which takes place three years after the first novel. Maddy discovers her twin sister Maggie, and the two young women find themselves on opposite sides of Odin’s fight to rebuild fallen Asgard. 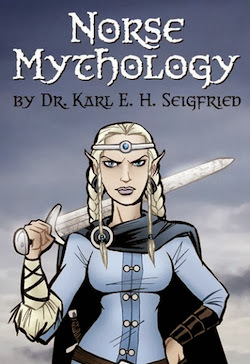 This second book greatly enlarges the mythical cast of the first novel with the addition of several other characters from Norse myth, most notably Angrboda (here known familiarly as Angie) and the wolves Fenris, Skól and Haiti (the spelling is Harris’s). In The Gospel of Loki (2014), Harris presents a prequel to her two Runemarks books that features Loki as the narrator of the Norse myths. In her own words: “From his recruitment by Odin from the realm of Chaos, through his years as the go-to man of Asgard, to his fall from grace in the build-up to Ragnarok, this is the unofficial history of the world’s ultimate trickster.” Good times. 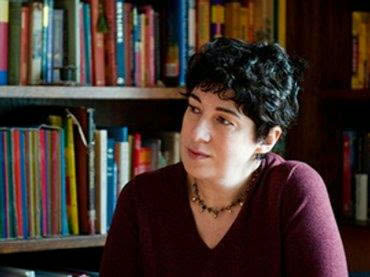 For more on her unique perspective on the Norse myths, read my five-part interview with Joanne Harris: 1, 2, 3, 4, 5. There's even more information on her wonderful website. As Joris Boghtdrincker, the Dutch singer was a frontman and lyricist for the brilliant metal band Heidevolk from 2002 to 2013. With two male vocalists singing over a blend of folk music and modern metal, the band had a unique and instantly recognizable sound. 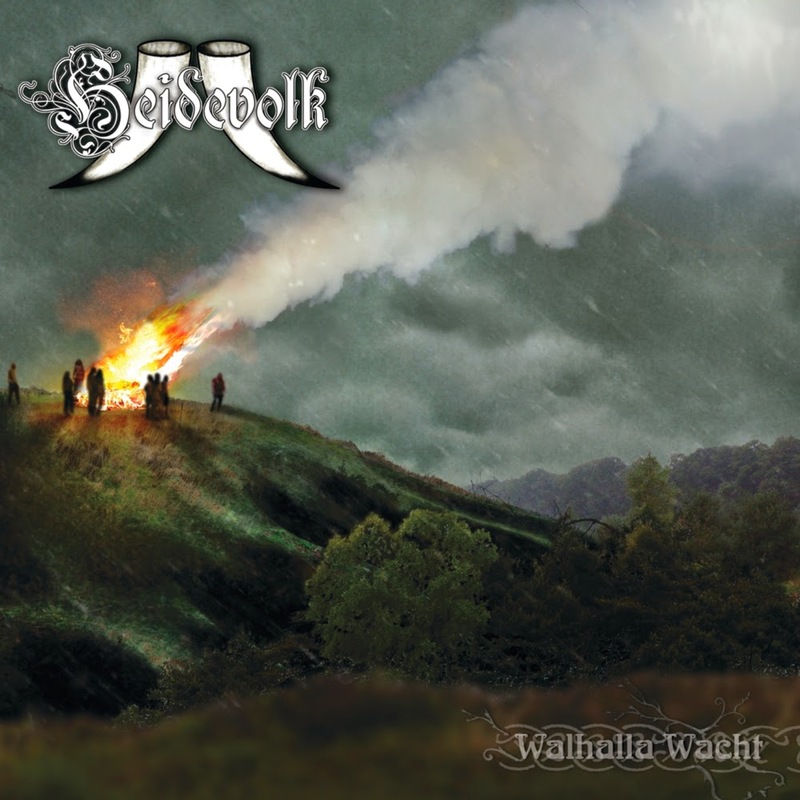 While Joris was in the band, they released four full-length albums that showed a deep knowledge of Germanic mythology and history, with a particular focus on the traditions of Gelderland, their home province in the Netherlands. Joris was the band’s main lyricist. On the Heidevolk website, his profile listed Jan de Vries’ Altgermanische Religionsgeschichte as his favorite book. 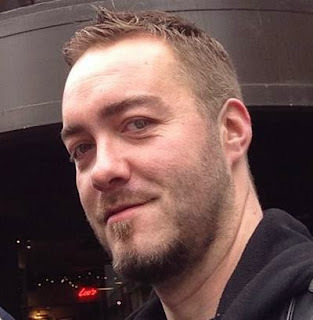 After the Heidevolk set at the Chicago stop of the Paganfest America Part IV tour in 2013, during the set by the Faroese band Týr, Joris tracked me down in the crowd to tell me something about the Romanian scholar Mercia Eliade that he’d been trying to think of during our interview. This is not your average heavy metal singer. It was a pleasure to spend some time with this thoughtful and eloquent man and hear him speak quietly and passionately about history, music, mythology and religion. In brief, I polarized my musical passions by starting up two new bands. One is :NODFYR: with which I return to the old Heidevolk feel, in terms of vocals. It's more timid, proud and heavy and it combines a traditional basis with certain more progressive elements. Lyrically, it's a bit more personal and with a general message of hope and positivity. The other band, Wederganger, is the total opposite. Focussing on the dark sides of local folklore and Germanic mythology, it is created as a vessel for destructive and negative energy. Combining black metal screams and my vocals and with a lot of dissonance, it serves as a much-needed outlet for my darker inspirations. You can read Joris’ perspective on music and myth in the extended 2013 interview here: 1, 2, 3. 1. Be on the theme of midsummer. 2. Contain at least one element from Norse mythology. Note: For the purposes of this contest, Marvel Comics characters are NOT considered part of Norse mythology. Any art with imagery from the Marvel comic books or movies will not be accepted. Please do some reading and research on celebrations of midsummer and the summer solstice, then base your imagery on what you discover about these holidays and Norse myth! 1. Art must be done with crayons, markers, paint, pen, pencil or digital materials. Joanne, Joris and I will be judging the entries based on creativity and relation to Norse mythology. Do some reading, do some thinking and make something original! The three winners in each age group will be featured on The Norse Mythology Blog, The Norse Mythology Facebook Page, The Norse Mythology Google+ Page, The Norse Mythology Pinterest Page and The Norse Mythology Twitter Page. Your art and your description of it will be posted on all the many sites of Norse Mythology Online and will remain permanently in the The Norse Mythology Blog Archive. It’s time to sharpen your pencil and start drawing. Good luck!